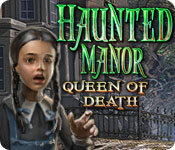 Haunted Manor: Queen of Death is rated 4.3 out of 5 by 150. Rated 5 out of 5 by jewel_43 from really enjoyable!! I thought initially that I had wasted my money when I bought this game as the graphics weren't the best I'd seen but I persisted with the game and I am glad I did! It was a very long game and the storyline was great and well-presented. 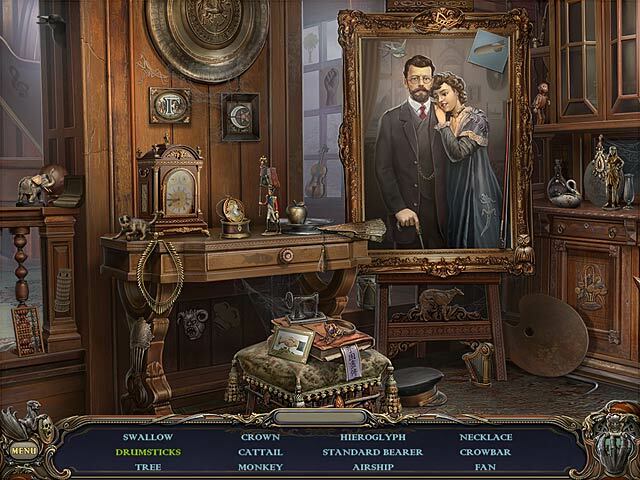 Some of the hidden object scenes required a good bit of concentration on my part as objects were cleverly hidden. The music throughout especially that of 'Spooksville' by Ross Milligan which was mainly heard in the HOS really set the tone for the rest of the story. This game provided me with hours of fun so I am looking forward to playing others in this series. Rated 5 out of 5 by BayouWoman from anything with a haunted theme gets me playing... This game had great scenery and a great atmosphere. 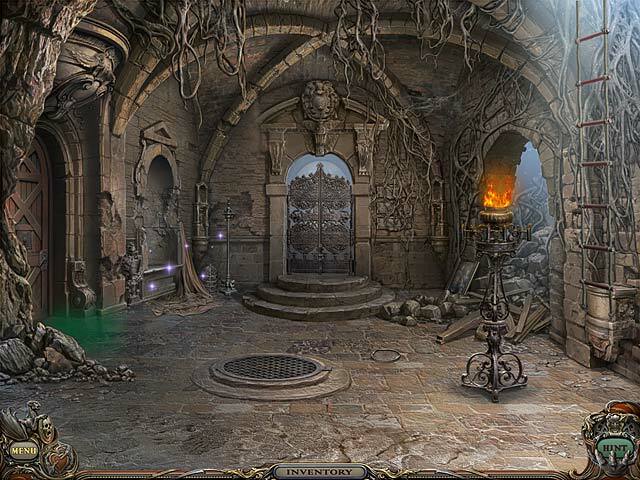 It was fun wandering around and the hidden object scenes were good. 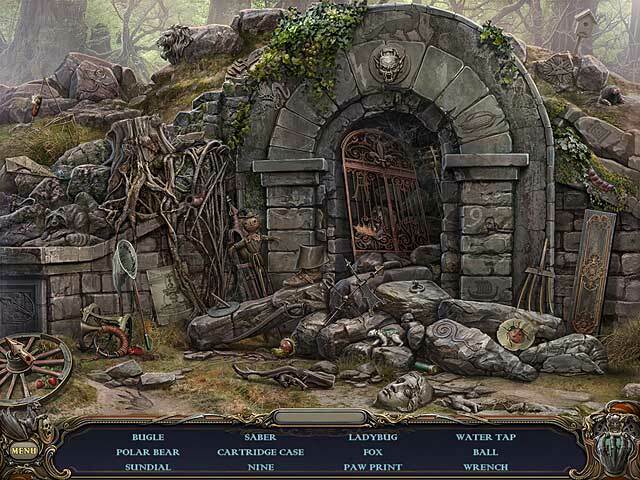 I especially liked how at the end intead of running around like mad collecting something, you got to revisit each scene and do a hidden object puzzle. This game was well put together and enjoyable enough to be played over and over. Rated 5 out of 5 by mavk from Nicely done Gorgeous graphics (e.g. amazing interiors of the manor house) are the best aspect of this game and the main reason I give this game a rating of 5. Good music/sound (e.g. good use of Mozart's Requiem). No guide/note book, but not needed. HOSs and puzzles were fun, altho adding a few more difficult puzzles would have been better for me. Only annoyance was too much traveling back and forth between areas, and a map that allows jumping to locations (for users that want that) would be a significant improvement. Greatly enjoyed this game. Rated 5 out of 5 by AdrianaIP from Good story, with great visuals The story is thrilling enough (while not a sequel, it is related thematically to the first Haunted Manor by its twins motif), and the visuals are stunning. They are right for the atmostphere, and they are both beautiful and creepy. Because of this, the HOS are easy to deal with (HOS must be beautiful since people will be staring at them for a while). The minigames are OK and you do not need to do much skipping Somehow keeping track of where things were and what was needed was not too hard. I would love to see a third installment. Rated 5 out of 5 by HOG_Obsessed from Challenging but couldn't stop til I beat it! OK first the positives: Graphics were well done. Mini games and HOGs were fun and different - I liked that the HO scenes had things to move around to expose list items. Storyline, though predictable, was intriguing. I liked the more "horror" theme of it, and honestly thought they did a good job of mixing in the graphic deaths without making it too scary for my kids to help me out. I could not stop playing until I beat it, and I definitely got my money out of it! Now some notes: There is no journal or map to write down notes, help you move around the scenes more easily, or to let you know where available actions are. This was a bit frustrating from time to time. The hint also occasionally would simply say there was nothing more to do in a particular scene, instead of something more helpful such as where you can find an object, or which way you need to go to do something. Although there were other times where it would give me an arrow to direct me to an active scene. I do admit I used hint more in this game than I normally do. It wasn't always obvious what you needed to do, or where you needed to use an item. I liked this as you actually had to think about it instead of finding the needed object almost immediately. All in all, I highly enjoyed this game. Rated 5 out of 5 by roaming from WOW!! This is a terrific game! I loved playing it and was sorry when it was over. Sometimes I do think games run out of steam before the end and the devs add another chapter or chapters just to add to the length. In this one, at the end you have to find 12 objects and visit 12 HOS to do so. At this point there are no hints to tell you where to find the HOS. A game-lengthening device? Maybe, but I didn't have the feeling that the game had run out of steam. The artwork is amazing -- beautiful, complex and spooky. There's a little repetitive tune that accompanies the HOS -- very haunting, almost hypnotic -- that, along with the ambient sounds, adds to the overall creepiness of the game. WARNING - if you are easily creeped out by things that go bump in the night, and/or are sensitive to vermin, insects, snakes and the like, please play the demo before buying! I think the lack of a map may actually add to the overall haunted ambience, since you have to walk through every room of the mansion again and again. This is one of the best games I've played, maybe the best, and definitely better than Lord of Mirrors. Rated 5 out of 5 by neilskinut from good fun game Not a bad game. Has no voice over. The HOS are pretty good because you need to look hard. The puzzles are not bad. There is running around to find things but still has a good flow. Rated 5 out of 5 by marlena362438 from tough but superb! This is one of the better ones. Loved the story and how it ended. I've played it 5 times now and will play it again. The puzzles were very difficult. The whaling of Stella in the nursery was great to hear. I love spooky stuff and "B" horror movies. This is not an easy game. I would have the collector's edition to have the strategy guide. Overall I love this game and will play it often.